Proud is an understatement. Writing this blog with watery eyes is a much more accurate description. 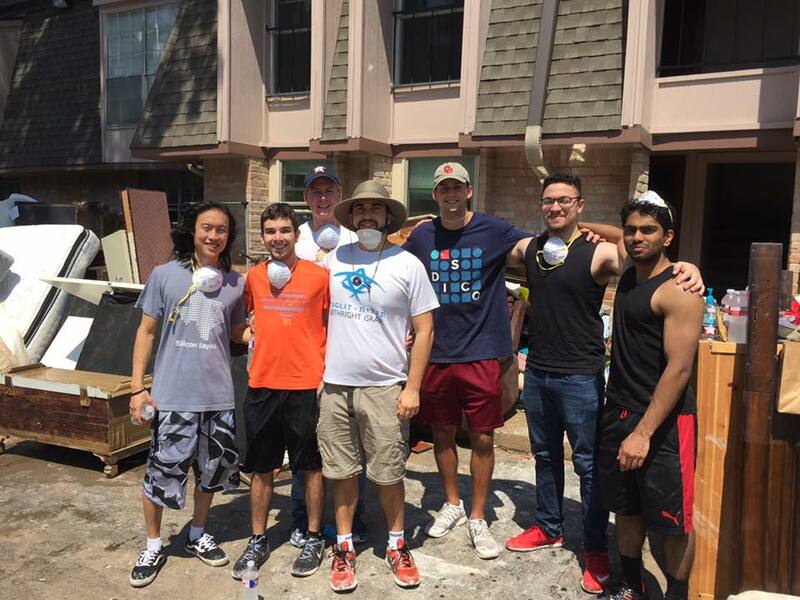 I am beyond fortunate to be part of a team that clearly showed and continues to show its true colors post-Hurricane Harvey. The DISCO team has the heart and fortitude that no one else can match. Harvey was, and continues to be, a monster, but a monster that we will overcome and never forget...we are Houston Strong! Steve Mace, one of our Senior Project Managers, helped evacuate a nursing home with around 130 residents – most confined to wheelchairs and needing to be carried down three flights of stairs. Steve’s boat, normally finicky due to engine and propeller problems, did not fail him and his friends once! 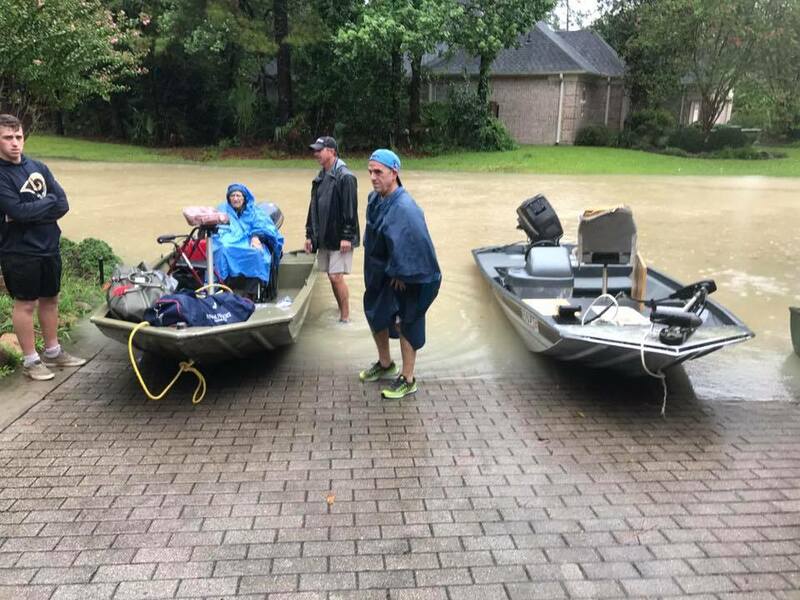 Steve is a guy that literally posted his personal cell phone number on all forms of social media offering to help rescue others out of the Harvey waters. Thursday after the Hurricane, the 1st day where it was safe to be back on most of the roads, members of the Marketing team made several trips to various stores to load up on baby and school supplies, hygiene products, non-perishable food items, and even games and coloring books to entertain displaced children, to then drop off the items to a local collection depot. Driving a rental car and seeing many roads under 5+ feet of water was a humbling experience. 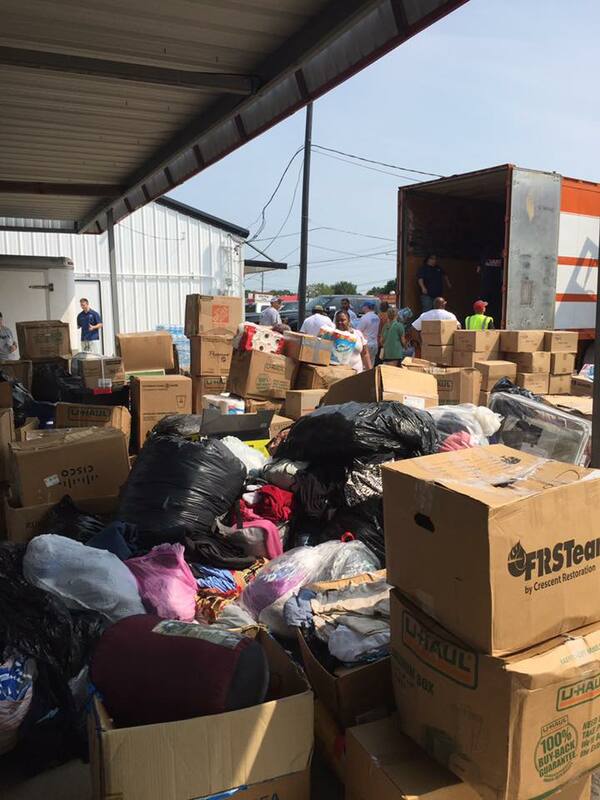 Members of DISCO drove down to Deer Park, one of the areas that was severely damaged by Harvey, and unloaded an 18-wheeler with 80,000 lbs of supplies and 700 cases of water to families in need. So humbling to see families waiting for supplies and smiling to get diapers for their children. This was an event led by Houston’s own, Clutch (the Houston Rockets Mascot)! We are happy to call him a great friend of ours! 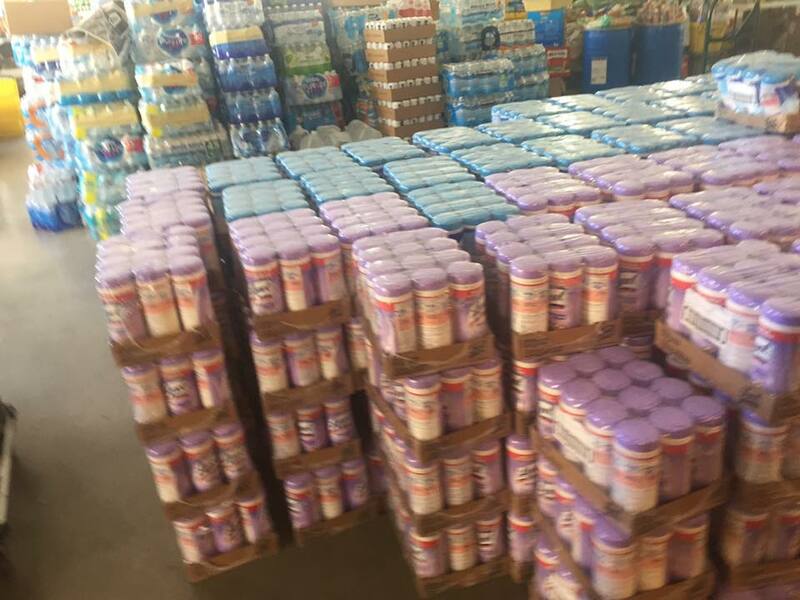 Members of DISCO used their lunch break and drove to an HEB warehouse to pick up 500 cases of sanitization wipes, which they delivered to a local collection depot. 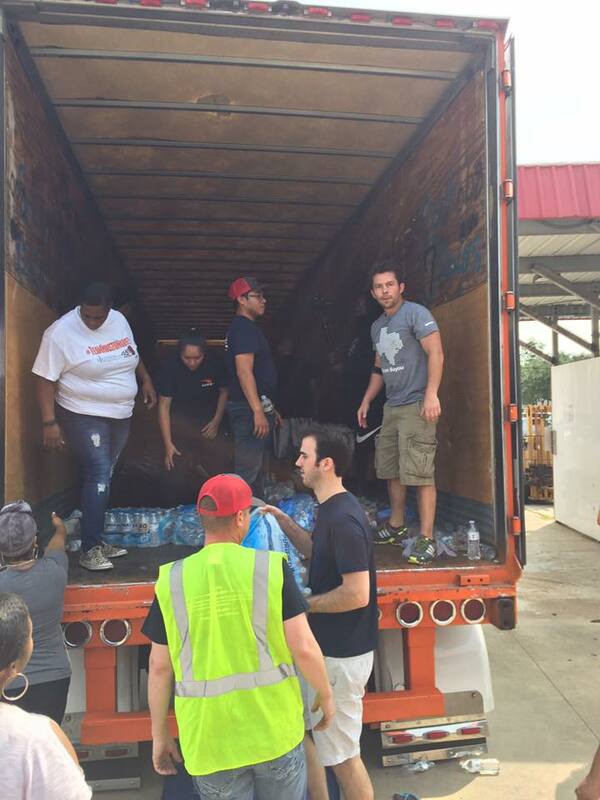 Driving our cars into the warehouse, loading them up, and assisting other volunteers forged a new bond with fellow Houstonians. And then there was Simon. Sadly, Simon had to leave DISCO to spend time with his family and take care of his mother, who is battling cancer. Then Harvey hit, and his mother’s apartment was flooded. 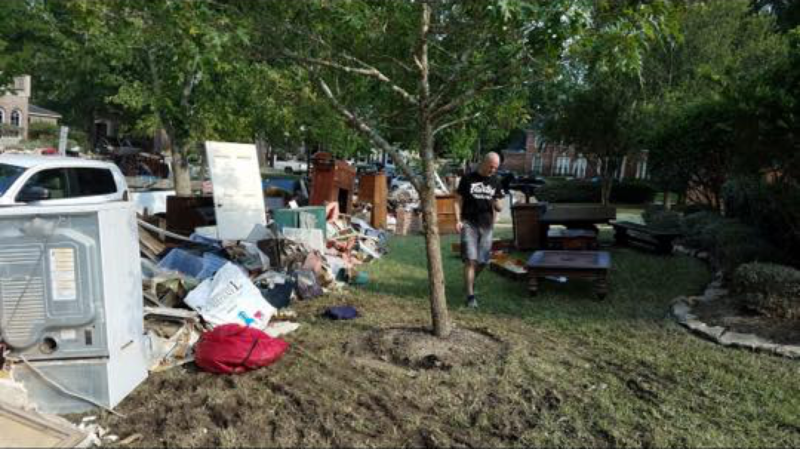 A team of 8 from DISCO – many of who, never met Simon – helped him clean out and then demo his Mom’s apartment. This was a moment when I realized that the DISCO bond is strong, very strong. 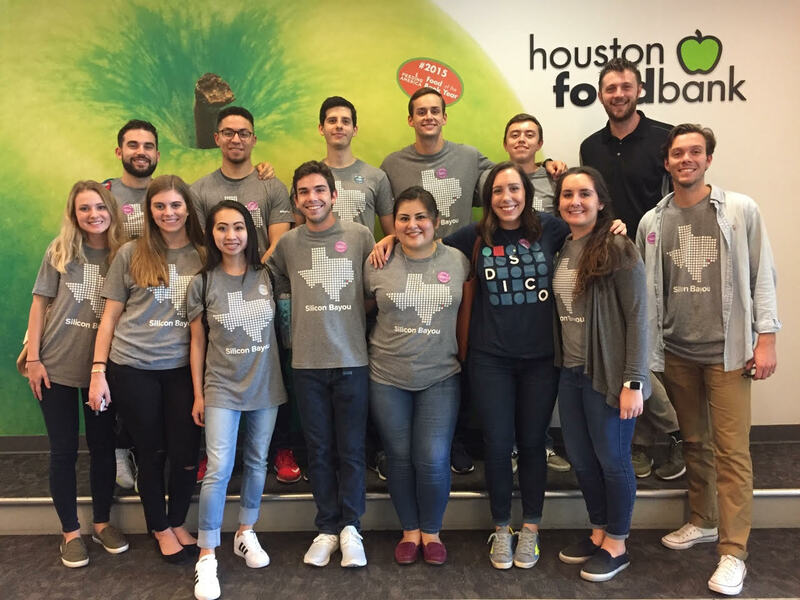 On September 22nd, Michael Doyle helped organize a team volunteering event at the Houston Food Bank with our entire SDR team. 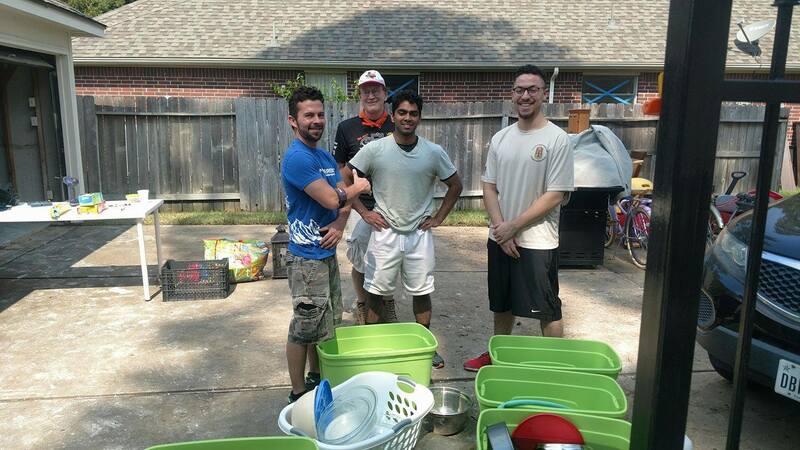 Thanks to the support from our wonderful management team, they were able to take the afternoon off to lend a helping hand in support of families affected by Harvey. 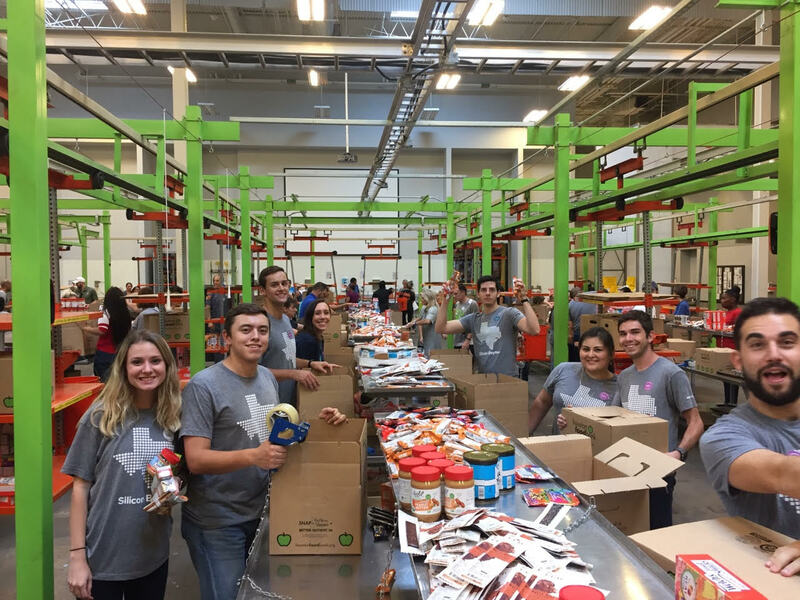 They may have missed booking a few meetings; however, in turn, they were able to pack over 8000 meals for impoverished families in the Houston Area. Around the office, there are numerous stories of our co-workers going above and beyond. From our VP of Marketing, Neil Etheridge, helping neighbors with demo work; to Gabby, our Assistant Controller, offering her home for the First Responders Command Post; to Trish, our Data Research Analyst, taking an active role in the Rebuilding Together Houston initiative. These were all great “feel good” stories to hear once we were able to get back into our office. As I write this blog, I’m reminded of the “Golden Rule” – treat others the way you want to be treated. And as I reflect, every member of DISCO, every department – be it Sales, Marketing, Operations, Finance, Engineering, Support, or Executive Management – showed up. It is this moment that is powerful. This is the reason why I’m so fortunate to work for DISCO. Inspired by the true desire to “pay it forward,” I am beyond excited to announce and be part of the new DISCO Cares initiative. I can’t wait to see what the future has in store, and share our next 10,000 moments!